Posted by Sam Smith on Wednesday, August 1st, 2012 at 8:26pm. For those who love the outdoors and sailing their is no better place to live in Orange County than Newport Beach! 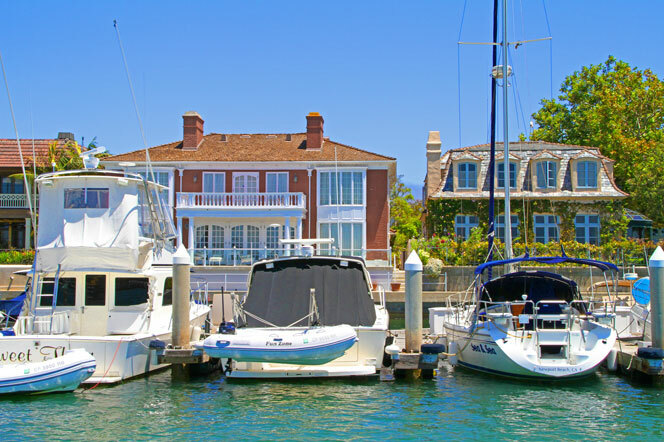 As one of the top sailing hot spots, Newport Beach has no shortage of water front properties. In fact, you will find more water front communities in Newport Beach than any other beach town in Southern California. Due to the high concentration of these bay front homes, home buyers are often seeking properties that have boat slips included with the sale. Boat slips can vary in size depending on the size of the property and it's location. The very upper end of the marketplace will often have multiple boat slips included with the sale of the property. Communities like Harbor Island, for example will have homes listed well above $10 million dollars that can accommodate multiple boats and a Duffy. Other notable communities like Linda Isle, Lido Isle and Bayshores will have select bay front homes with boat slips available. Smaller condos like Bayside Cove also have the potential of having a boat dock accessible with current prices under $1,000,000. There are other notable condos like Newport Bay Towers for example to buy a luxury condo with a boat slips available at discounted prices. For a complete list of these homes please contact any of our Newport Beach Real Estate agents today.